Cette annÃ©e encore, nous proposons Ã ceux dâentre vous qui ont lâintention de participer aux 20 km de Bruxelles (19 mai 2019) de former une Ã©quipe Â« ICTEAM-iMMC Â». 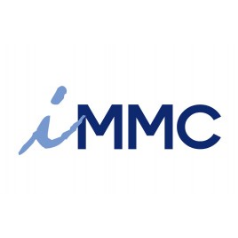 / It is with great pleasure that we propose to those of you who intend to participate to the 40th annual Brussels 20K race (May 19, 2019) to join the Â« ICTEAM-iMMC Â» team. SÃ©minaire dans le cadre des Rencontres de la Louvain House, prÃ©sentÃ© par Paul Fisette (iMMC-MEED) et Anne-Emmanuelle Ceulemans (FIAL, Musicologue). Inscriptions ouvertes et limitÃ©es. This event, organized within the context of the public defense of B. Martin's PhD thesis, will address the recent advances in tools and methods in the field of electric power distribution. We will have the pleasure to welcome three quality speakers: Charline Stevanoni (UniversitÃ© de Mons), David Vangulick (ORES and UniversitÃ© de LiÃ¨ge) and Fabrizio Pilo (UniversitÃ degli Studi di Cagliari). Vorige week installeerde de Materials and process engineeringafdeling (IMAP) van het Institute of Mechanics, Materials and Civil Engineering (IMMC) in Louvain-la-Neuve de nieuwe FSW-machine. Rails, roues, pneus, corde : F = ma, Ã§a tient la route ! At the start of this academic year, Profs David Alsteens and Patricia Luis Alconero each landed an ERC Starting Grant. FranÃ§ois Heremans et Pierre Latteur, pionniers de la technologie belge ! SE CONSTRUIRE UNE MICRO-ÃOLIENNE EN IMPRESSION 3D ... C'EST TECHNIQUEMENT POSSIBLE ET ÃNERGÃTIQUEMENT PERFORMANT ! Are you interested in the problematics of flows in natural streams ?